There’s no shortage of homages to classic microphones and processors, but until now, the monitor market has resisted the notion. Enter Avantone’s take on the iconic Yamaha NS‑10. 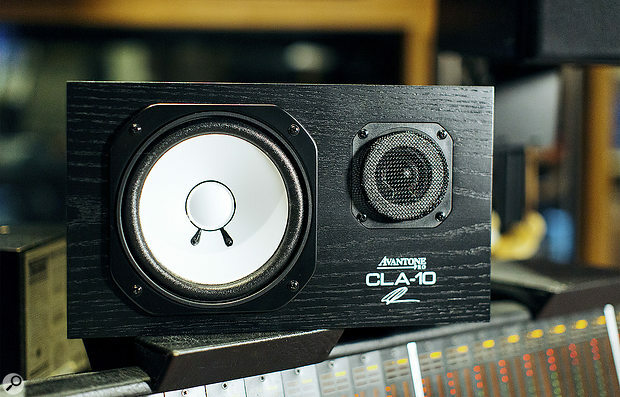 I doubt the announcement of a passive nearfield monitor has ever caused quite so much chatter as Avantone’s CLA‑10, a reboot of the Yamaha NS‑10. One well‑known pro audio forum had six pages of posts on the subject within a week of the announcement. If sales correlate with forum posts, Avantone have struck gold. However, in an industry that includes an entire sector dedicated to copying classic Fender electric guitars and basses, I wonder if Avantone’s copy of Yamaha’s iconic NS‑10 nearfield monitor should really result in much more than the slightest lift of an eyebrow. Maybe the biggest surprise is that, considering the NS‑10’s endlessly enduring appeal, it has taken so long for a mainstream manufacturer to realise that what works for guitars might also work for monitors. Having said that, we have already seen one NS‑10 lookalike (in the UK anyway) in the shape of the Studiospares SN10, and there was the NS‑10‑inspired Acoustic Energy AE22 that I was involved in a decade or so ago (see the ‘Holland, Newell & The AE22’ box). 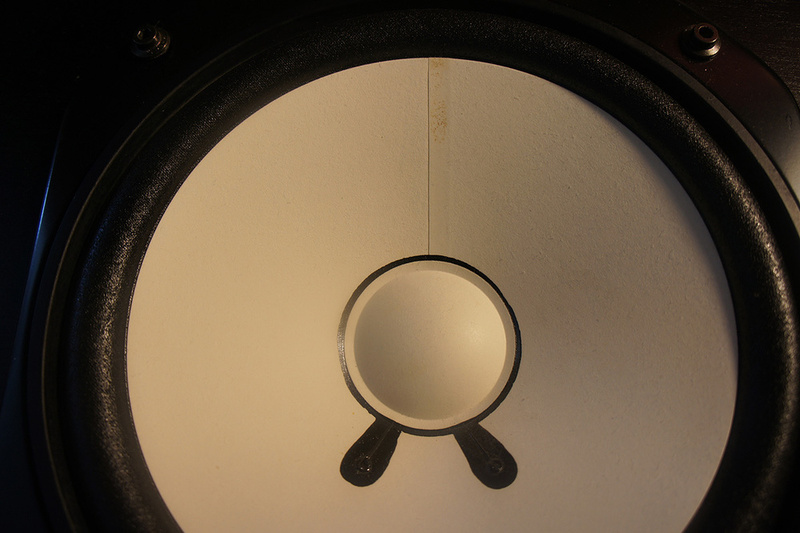 In the box‑out I mentioned earlier, I refer to a Newell and Holland Institute of Acoustics technical paper that, back in 2001, described the analysis of the electro‑acoustic characteristics of the NS‑10 in the context of 35 other contemporary monitors. When we come to poking around in the guts of the CLA‑10, that technical paper provides a uniquely valuable objective context for judging whether Avantone have launched something that only looks like an NS‑10, or something that genuinely behaves like an NS‑10 too. Later on I’ll be presenting a bunch of objective measurements of Yamaha NS‑10s and the CLA‑10, which will cover some of the same ground that Holland and Newell trod. I can’t do an exact repeat, unfortunately, primarily because I don’t have access to Southampton University’s famously large anechoic chamber. Before we get on to measuring, analysing and listening to the CLA‑10, however, there’s a bit of description to do and a knotty problem to untangle. 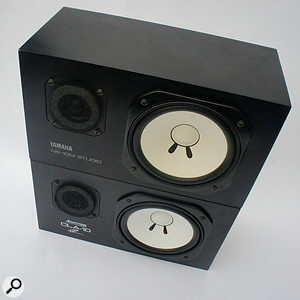 The knot is that there’s been more than one version of the Yamaha NS‑10. In fact there were six during its 23‑year life: the NS‑10M, NS‑10M Studio, NS‑10MC, NS‑10MC Pro, NS‑10MX and NS‑10MT. I could write a few paragraphs describing the difference between all these versions, but somebody has already done a pretty good job of that — a whole website on the subject in fact — so if you’re interested go here: http://ns-10m.com/index.html. The other place to go if you’re more generally interested in the NS‑10 and its history is the feature I wrote for this very publication back in September 2008: www.soundonsound.com/reviews/yamaha‑ns10‑story. The fact that there are six NS‑10 versions invites the question: which one Avantone have taken for inspiration? There’s nothing on the Avantone website or among the launch press material that’s been released to answer the question definitively, which leaves an educated guess as the best option. The last four versions in the list of six are relatively rare and, although they do turn up for sale on the used market occasionally, it’s unlikely that Avantone would have taken one of those as their reference (and it’s a definite negative on the NS‑10MT, because that one was reflex loaded). That leaves the first two versions as the most likely contenders. The first one, the NS‑10M, is the original hi‑fi speaker that was pressed into service for nearfield monitoring. It can be identified by having plastic grille sockets, spring‑loaded bare‑wire connection terminals and a front‑panel logo oriented for portrait use. It was also the version that gave the NS‑10 its reputation for a tonal balance so bright that tissue paper over the tweeter seemed a reasonable idea. The second likely version is the NS‑10M Studio, the revised model that Yamaha introduced once they got wind of the original version’s foot in the door of studio monitoring. 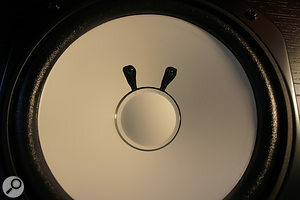 The NS‑10M Studio can be identified by its lack of grille sockets and its front‑panel logo turned 90 degrees for landscape use, but it also has a less bright tonal balance, binding post connectors, and a modified tweeter (also with a foam ring around the dome to modify its dispersion) that provided increased power handling. When I first became aware of the CLA‑10 I thought it most likely that Avantone’s reference NS‑10 would be the NS‑10M Studio version, but having now read an old SOS interview (www.soundonsound.com/techniques/secrets‑mix‑engineers‑chris‑lord‑alge) with Chris Lord‑Alge, where he talks of using the original version, and a second interview where he mentions, “NS10s and a subwoofer (the 1985 versions),” I’m not so sure. So, when we get to the analysis and measurements a few paragraphs down, you’ll see that along with comparing the CLA‑10 to an NS‑10M Studio, I’ve also introduced a pair of the original NS‑10Ms into the equation. Confused? You soon will be. One last discourse on NS‑10 versions before I move on. As any speaker production engineer will tell you, one of the most difficult and frustrating aspects of the job is consistency. The very nature of speakers — vigorously vibrating lightweight flexible parts held together with glue — means that making two the same is hard enough, let alone several hundred thousand. So when we talk about the NS‑10M or NS‑10M Studio it’s in the context of not really knowing what Yamaha’s sample consistency was like. The performance of two examples of the NS‑10M Studio built years apart might well vary significantly. 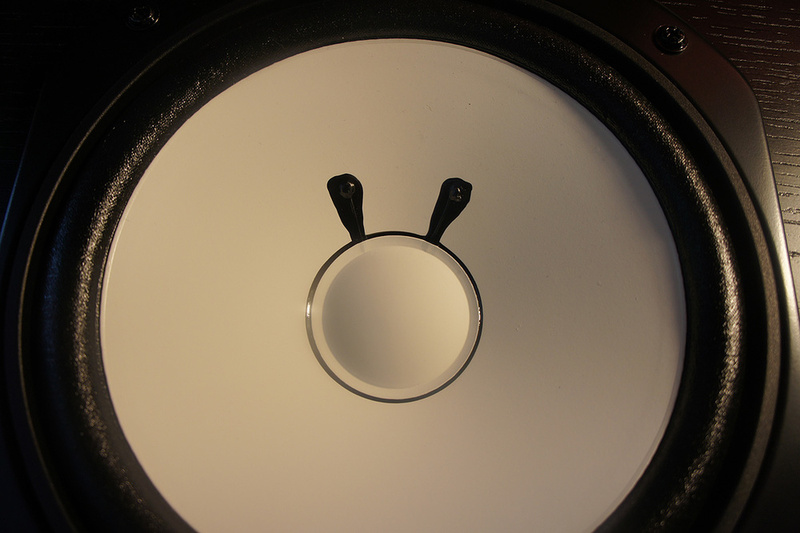 Here you can see the different woofer construction methods chosen by Yamaha (above) and Avantone (below). The Yamaha NS‑10 cone was made by curling and joining a flat piece of paper, whereas Avantone’s cone is made by pressing pulp into a mould. CLA-10.Moving back to the pair of CLA‑10s now sitting either side of my DAW, seeing as NS‑10s are such a familiar sight it would be somewhat academic to offer a full description (and there’s really not much to describe anyway, beyond a black box with drivers in the front). More instructive would be to mention the few obvious differences between the CLA‑10 and the more common, later version of “old faithful”. Firstly, around the back of the cabinet, the CLA‑10 sports beefy connection terminals that make those fitted to the NS‑10M Studio look like they were designed in the dark ages (those fitted to the NS‑10M date from even earlier). Moving around the front, the CLA‑10 tweeter looks a dead‑ringer for the NS‑10M Studio unit, but it’s when we get to the bass/mid driver that the first potentially significant difference appears. Where the iconic NS‑10M’s white cone was manufactured by curling and joining a sheet of paper, the CLA‑10 bass/mid driver cone is manufactured more conventionally from pulp pressed into a cone shape using a mould. Before I move on to measuring and listening to the CLA‑10, there’s actually a few more subtle differences between it and the NS‑10 that are worth mentioning. Firstly, the CLA‑10 cabinet is constructed from MDF rather than the NS‑10’s chipboard, and feels somewhat more substantial as a result. This is likely to result in slightly less potential for resonant cabinet panels to make a contribution. MDF has its issues as a cabinet material, but it’s generally better than 1980s chipboard! The crossover circuit of the Yamaha NS‑10M Studio (top) and the Avantone CLA‑10 (bottom).A second improvement is that the CLA‑10 crossover sub‑assembly is constructed to a far higher standard than the equivalent NS‑10 unit. Specifically, the CLA‑10 crossover has a proper fibreglass printed circuit board rather than the amateurish‑looking tag‑board of the NS‑10. I’ve included a couple of photographs to illustrate this. 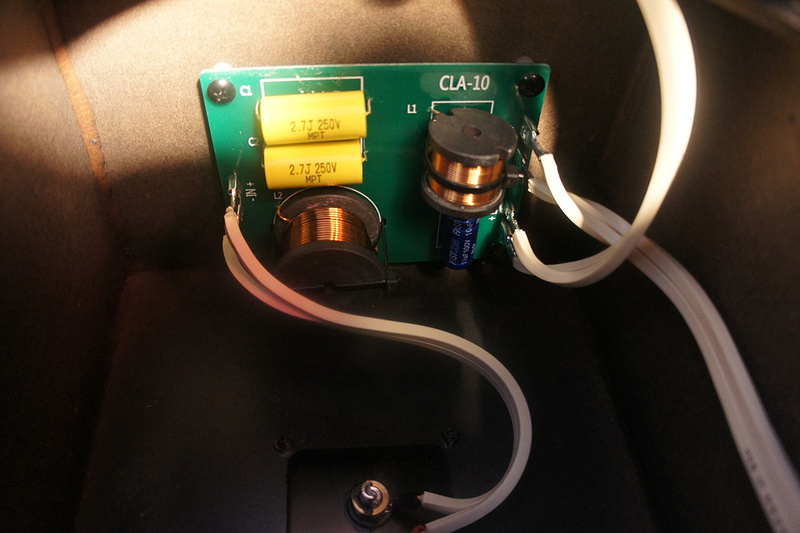 The CLA‑10 crossover also incorporates metalised‑polypropylene (or perhaps polyester) capacitors rather than the lower‑quality, less reliable, and more lossy reversible electrolytic capacitors of the NS‑10. This is all good stuff, but there are a couple of aspects to the CLA‑10’s construction I wasn’t quite so pleased with. Firstly, the drivers are connected with push‑on terminals rather than being soldered. Push‑on terminals for driver connections are of course very common these days, but that doesn’t make them the most reliable option; solder is far more reliable and that’s how NS‑10 drivers are connected. 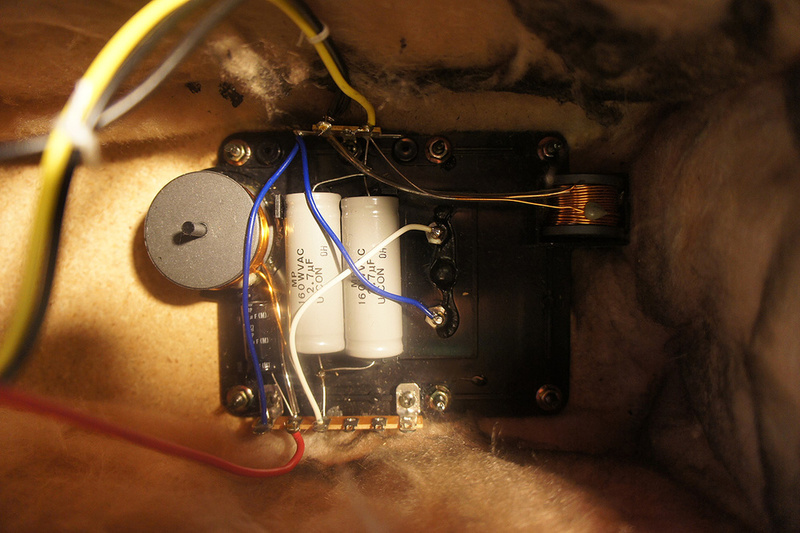 Lastly, where NS‑10 drivers are bolted into the cabinet using machine screws and tapped inserts, the CLA‑10’s drivers are attached using wood screws that, especially in the case of the bass/mid driver, really aren’t, in my opinion, long enough to secure a tight and reliable bond between driver and cabinet. In a reversal of my usual order of things, I’m going to describe how the CLA‑10 performs subjectively before I move on to a bit of measurement‑based analysis. I used my usual range of well‑known CDs and Pro Tools sessions, and I also had the CLA‑10s playing for long stretches in the background while other work went on, but the first thing I noticed, as soon as I connected to the power amp, and before playing anything, was hiss. If the CLA‑10 were an active monitor, I’d be writing that it has a noisy amplifier, but of course it’s not active, and the power amp I was using (an Audiolab M‑PWR) is normally quiet. The hiss was apparent because the CLA‑10 has, to my ears, a significantly emphasised high‑frequency balance. “Of course it’s bright!” I can hear you cry. “It’s an NS‑10, and didn’t Bob Clearmountain resort to tissue paper over the tweeter to tame it a little?” Well yes, on both counts, but firstly, Bob Clearmountain was using the NS‑10M and not the NS‑10M Studio, and secondly, the dominating tonal characteristic of the NS‑10M (especially the Studio version) is actually an emphasis in the mid‑range rather than in the tweeter band. Along with the CLA‑10 set up either side of my DAW, I also had a pair of NS‑10M Studios, and swapping between them left little doubt that the CLA‑10 is balanced significantly brighter. Ignoring the bright balance, however, and also sometimes using a monitor bus EQ plug‑in to tame it (I didn’t reach for any tissue paper), the good news is that it doesn’t take long to appreciate that all the fundamentally desirable characteristics of an NS‑10 are present on the CLA‑10. The bass is fast and accurate, with no hint of delay, overhang or uncertainty of pitch. The tonally emphasised mid‑range that is the NS‑10’s hallmark, and which provides insight into the frequency band where all the subtle mix details tends to earn their crust, is undoubtedly present. Imaging is well focussed too, and pushed forward by the mid‑range emphasis so that there’s almost a sense of headphone listening about the CLA‑10. The CLA‑10 has that characteristic NS‑10‑style sense of explicit detail, clarity and precision, even at relatively quiet volume levels. So, the CLA‑10 undoubtedly does the NS‑10 thing but, and for me it’s a significant but, the subjective high‑frequency balance seems too strongly emphasised. It tends to make the CLA‑10 a more challenging experience at higher volume levels or over long periods than the NS‑10, and skews the tonality of individual mix elements towards the top end of their spectra. Having spent quite a bit of time listening to the CLA‑10 and comparing it with a pair of NS‑10M Studios (I had a pair of NS‑10Ms available too, but one was damaged in transit to the point of being unusable), I could no longer resist firing up FuzzMeasure Pro to analyse the monitor and investigate its performance more objectively. The NS‑10 referred to in the majority of the following paragraphs is the Studio version. Diagram 1: The bass/mid driver response of the CLA‑10 (orange) and the NS‑10M Studio (blue). The dashed and light‑dashed lines show second‑ and third‑order harmonic distortion, respectively. The two FuzzMeasure curves I’m going to start with are aimed at investigating the CLA‑10’s low‑frequency characteristics. Diagram 1 shows the close‑miked bass/mid driver frequency response of a CLA‑10 (orange) and and an NS‑10M Studio (blue). The close‑mic technique doesn’t provide absolute accuracy above a couple of hundred Hertz, but it does minimise the influence of the measuring space and enables valid comparisons to be made. The first thing revealed by Diagram 1 is that the CLA‑10 and NS‑10 have very similar low‑frequency roll‑off characteristics, so it’s safe I think to say that, in measurement terms, the CLA‑10 nails the NS‑10’s bass. Diagram 2 reinforces that conclusion. It shows the low‑frequency group delay of a CLA‑10 and an NS‑10M Studio, and there’s not a great deal between them. Both monitors show LF group delay above 50Hz at around 3.5ms before it falls towards zero as bass becomes mid‑range. In the world of speakers generally, 3.5ms is a very low figure. Diagram 2: Low‑frequency group delay of the CLA‑10 (orange) and NS‑10M Studio (blue). Moving back to Diagram 1, the wealth of data clearly illustrates more than just the CLA‑10’s low‑frequency response shape. Firstly, the match between CLA‑10 and NS‑10 bass/mid driver response is pretty close right up to around 2.5kHz. The CLA‑10 appears to have a little more sensitivity generally (one of the snags of close‑mic measurements is that small differences in mic position are emphasised, so that may well be playing a part) but the general character and shape of the two curves is very similar. Diagram 1 also shows the CLA‑10 and NS‑10M second‑ and third‑harmonic distortion, and again they are very similar in character and level. One of the strong NS‑10 characteristics identified in the Newell and Holland paper was low harmonic distortion, and the CLA‑10 appears to be at least as good. Above 1kHz the CLA‑10 and NS‑10 bass/mid drivers diverge a little in terms of response shape, with the CLA‑10 driver looking slightly more resonant and lively. This may well be due to the different diaphragm construction. 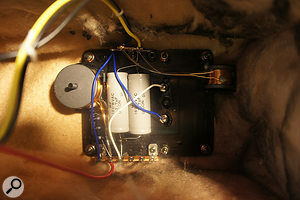 When I first became aware of the CLA‑10 I thought the biggest issue for Avantone would be matching the NS‑10M bass/mid driver, especially with its different diaphragm manufacturing technique. It seems I was wrong: the CLA‑10 and NS‑10M bass/mid drivers are really very similar. The next FuzzMeasure curve again demonstrates that there are great similarities between the CLA‑10 and NS‑10. Diagram 3 shows their step response — basically how they respond in the time domain to a wide‑bandwidth transient. The microphone in this case was 0.75m away and aimed axially at a spot halfway between the drivers. Again, the CLA‑10 is in orange and the NS‑10 is in blue (the small pre‑echo is an artifact of the Fourier transform measurement processing and can be ignored). Diagram 3: The Step response of the CLA‑10 (orange) and NS‑10M Studio (blue). There are a couple of features in Diagram 3 that are worthy of mention. Firstly, as with the majority of multi‑way speakers with non‑coincident drivers, the different arrival times of the tweeter and bass/mid driver outputs are clear. 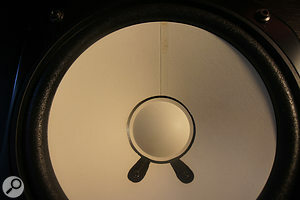 The tweeter signal peaks at 3.5ms and the bass/mid driver at around 6ms. The second thing to note is the higher level of HF energy from the CLA‑10 tweeter (its peak at 3.5ms is higher). The reason for the slightly earlier arrival of the CLA‑10 bass/mid energy could reflect its slightly higher output above 2.5kHz and/or its diaphragm having slightly lower moving mass. Generally, however, the step response curves are very similar and, again, in absolute terms, better than would be recorded by very many monitors — especially in terms of how quickly they settle following the impulse. Diagram 4: The axial frequency response (200Hz‑20kHz) of the of the CLA‑10 (orange), NS‑10M Studio (blue), and original NS‑10M (purple). So, having mentioned the greater energy of the CLA‑10 tweeter revealed by the step‑response curve, it’s time to look at a wide‑band frequency response comparison of the CLA‑10 and NS‑10. Diagram 4 shows the axial frequency response from 200Hz to 20kHz of a CLA‑10 (orange), an original NS‑10M (purple), and an NS‑10M Studio (blue). As with Diagram 3, the measuring microphone was 0.75m away and axially oriented. The expected lower HF output of the NS‑10M Studio compared to the NS‑10M is present, as is the significantly emphasised 2.5kHz to 7kHz band of the CLA‑10 that was apparent when listening. In fact, from a dip centred at 9kHz, the CLA‑10’s tweeter is generally around 3dB to 4dB up on the NS‑10M Studio. Bob Clearmountain might have reached for a towel rather than tissue paper. Diagram 5: The Sonarworks correction curves for the CLA-10 (orange) and NS-10M Studio (blue). Relying on a single frequency response curve to reconcile objective and subjective response is a risky thing, and I said as much back when I wrote about the NS‑10 in 2008. So, as a further check on the CLA‑10’s high‑frequency balance I launched Sonarworks and analysed both the NS‑10M Studio and the CLA‑10 in my studio room. I then used FuzzMeasure to capture the resulting Sonarworks correction curves. The curves, for one channel, are illustrated in Diagram 5. As would be expected from two pairs of identically sized monitors with very similar bass and low mid‑range performance, the Sonarworks curves up to 600Hz or so simply reflect the same room correction applied to both monitors. As frequency rises, however, the correction curves begin to diverge, reflecting the mid‑range differences between the monitors, and between about 2.5kHz and 7kHz Sonarworks generally applies at least 3dB more attenuation to the CLA‑10 than to the NS‑10M Studio. So the axially measured and subjectively experienced high‑frequency balance is reflected in the Sonarworks analysis and correction. Diagram 6: The frequency responses of the two CLA-10s (orange) and four NS-10M Studios (blue) available during the review. I have one last FuzzMeasure curve to describe. Diagram 6 may look a bit of a mess but what it shows is relevant. The two orange curves are the pair of CLA‑10s, and they show a pretty good pair match. The blue curves are the four NS‑10M Studios that were available to me during the review period. They show quite a bit of variation, but none of them have a 2.5kHz to 7kHz level anywhere near the CLA‑10. Without access to a time machine, I can’t say to what degree Yamaha NS‑10s varied over their 23 years of manufacture, but there’s no reason to think that the samples I’ve measured aren’t representative. There’s also some evidence in the anechoic NS‑10 frequency response curves published in the Newell and Holland paper, and in some previous measurements I’ve made of NS‑10s, that the four units analysed for this review (and the measurement curves themselves) are representative. Furthermore, there’s no mechanism that I’m aware of that will reduce the sensitivity of a tweeter as the years go by. Everything points to the CLA‑10 being balanced brighter than the NS‑10M Studio. I’ve written quite a few words about measuring the CLA‑10 when I know only too well that listening is more important, and I’ve always been a fan of listening to the Yamaha NS‑10. It’s simple, it’s inexpensive and it does the important elements of the nearfield monitoring job incredibly well. So, despite its balance quirk I’m also a fan of the Avantone CLA‑10, because it fundamentally has the same qualities. As it stands, the CLA‑10 balance is too bright for my tastes, but more significantly, I think perhaps it’s brighter than the majority of speakers of any kind out in the wild. So I’d be concerned about using it as a mix tool. Having said that, the specific tonal balance of any monitoring system is something that can be learned over time and factored in, both consciously and subconsciously, and there’s always the option of monitor bus EQ, or Sonarworks (other speaker optimisation apps are available). The latter, by the way, subjectively did wonders for the CLA‑10, but I’d rather Avantone look again at the HF balance of the CLA‑10 and pull it back towards the NS‑10M Studio. So where does that leave the CLA‑10? To my ears, reinforced by some objective analysis, Avantone have nailed perfectly what I expected to be the more difficult element of an NS‑10 reboot — the bass/mid driver — and they’ve got the low‑frequency characteristics spot on too. But the high‑frequency balance of the system seems wrong. However, if you’re after a pair of NS‑10s and don’t fancy taking the risk of buying previously loved 30‑year‑old speakers, the CLA‑10, along with a some monitor bus EQ or Sonarworks, will definitely do the job. The abiding mystery of the NS‑10 phenomenon is that still so few nearfield monitor manufacturers have identified what was so good about the NS‑10 and tried to reproduce it. There are a few products, though, that have some of the same qualities. Try the Amphion One12 or the ATC SCM12 Pro, for example. There’s always of course the used NS‑10 option. At the time of writing you should expect to pay between £400 and £600 for a pair in reasonable condition. I wrote in the main text that the Acoustic Energy AE22 was inspired by the NS‑10, but that isn’t quite true. That’s because it was rather more inspired by an Institute of Acoustics technical paper written about the NS‑10. That paper was jointly written by Professor Keith Holland, of Southampton University, and studio and monitor designer and author Philip Newell. The paper describes the analysis of the Yamaha NS‑10 in the context of 35 other nearfield monitors, and establishes an objective, electro‑acoustic basis for the NS‑10’s success and longevity in the nearfield monitor role. Now, I could spend a couple of hundred words describing the contents of the paper, but I don’t have to because it’s available for download here (https://sosm.ag/holland-newell) and if this kind of stuff interests you, I think you’ll find it fascinating. Just in case you actually have a life, however, I’ll spend a sentence or two describing what Holland and Newell concluded. Among the 36 monitors they analysed, the NS‑10 stood out like a sore cliché in three respects. Firstly, it had a mid‑prominent tonal balance (who knew!). Secondly, it displayed unusually low levels of harmonic distortion (for its size, anyway). And thirdly, its time‑domain performance — the speed with which it starts and stops — was exceptional. In particular, it displayed significantly less low‑frequency latency (technically known as group delay) and overhang than any other monitor tested. It’s an NS-10 in all but name. There’s no doubt, I think, that the CLA‑10 does the NS‑10 ‘trick’, and if you’re happy to accept its tonal balance it will save you from the risks of buying second‑hand. £675 per pair including VAT.